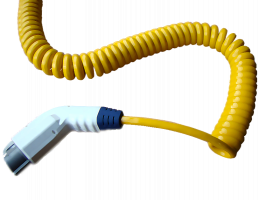 Cable Science EV cables are engineered to provide maximum reliability and performance for all electrical vehicle charging station applications, including portable hybrid and electric vehicles. Insulation and jacket compounds are specially formulated to meet or exceed mechanical and electrical requirements for harsh environments. Custom cables including power-limited data, signal, and communication components available in any jacket color and print legend.